Frank Cohen has been developing Atari programs since his first commercial product, Clowns & Balloons. He later developed Regent Base 2, a GEM-based SQL 4GL database, and is currently involved with several other ST-related productivity and small-business software packages. If you have questions or comments, he may be contacted directly on CompuServe (76004,1573) and GEnie (FCOHEN), or directly at P.O. Box 14628, Long Beach, CA 90803-1208. The fall 1988 Computer Dealer's Exposition (COMDEX) brought most of the Atari community back to Las Vegas, Nevada, for a good step forward into the future of the ST computer and Atari as a computer manufacturer. With ever-increasing computer-industry sales figures, many market analysts have noted the absence of progress in bringing the Atari ST computer to the public. Attending COMDEX was, therefore, important for Atari. But it was also expensive: Estimates range from $300,000 to $500,000 to create a respectable display. Atari ST Robotics Interface Kit leaches students the basics of how to operate a robot. Bentley Bear's Education Series teaches your kids spelling, math and logic. Since the Tramiels bought Atari Corp. in '84, ST-Log has been introduced to a new vice president of sales at every COM-DKX show: Jerry Brown, Chuck Babbit, Tony Gould. All of them have been leaders of Atari's sales force, and all of them have been canned when things didn't work out with the Tramiels. So, you can imagine what it felt like to be introduced to Mike Dendo, the new VP of sales for Atari Corp.
Dendo joined Atari Corp. in August '88, which makes him the longest lived of all Atari's past VPs of sales. He has a strong history of computer and technology sales and was previously the western regional and national military sales manager for Star Micronics, the well-known printer manufacturer. Prior to Star Micronics, Dendo was the VP of dealer sales for National Business Systems, a manufacturer of point-of-sale terminals and high-speed embossing equipment. Dendo lists Atari Corp.'s limited chain of retail outlets as the No. 1 reason that the ST has failed to make significant inroads into the U.S. personal computer market. He cites the limited supply of machines and poor dealer relations as the major culprits behind Atari's current retail woes. Dendo believes the improved DRAM situation will open up several new distribution outlets and permit a new advertising plan to commence. 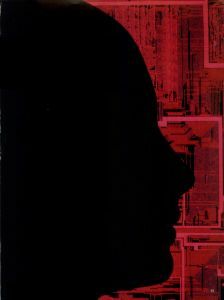 Dendo is negotiating with Microware Distributors, a nationwide consumer electronic and home computer distributor, to enter the ST distribution game in 1989. Dendo expects Microware to become a major ST vendor with an established $2 million line of credit. Dendo also reported that Atari will roll out a small advertising plan for the ST computer. At Atari's COMDEX booth, several new television and print advertisements for the ST computer were shown. Dendo's first moves were to locate the dealers that could support local, regional and national advertising efforts for the ST and Atari's future products. "Spots will run on Cable News Network's [CNN] Larry King Live show," said Dendo. The ads will also be shown in several local markets, depending on ST sales. Dendo gave a strong indication that Atari's ads will be run in established markets—New York, Houston, Chicago and Los Angeles—as a push to shore up addition losses to Commodore Amiga. Ads promoting the ST have already appeared in the New York Times. The central attraction of Atari's COMDEX booth was developed by Frank Foster, Atari's new director of MIDI products. Foster co-founded Hybrid Arts in 1985 to create new software products that take advantage of the ST's electronic music interface (MIDI) built into the ST computer. Hybrid predicted a booming MIDI market for the ST. After three years, Foster's vision of the ST has become a reality. Atari estimates it has captured as much as 40% of the MIDI computer market. Foster's connections to the electronic music world brought Mick Fleetwood, of Fleetwood Mac, to Atari's COMDEX booth. Fleetwood brought the male members of Fleetwood Mac to the Atari booth for an hour show, demonstrating what MIDI and the ST can do for professional musicians. Atari made a strong point in favor of its desktop publishing system. 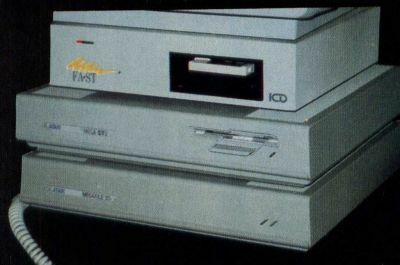 At an average system price of $5,000, the Atari system is built around a Mega ST and laser printer. 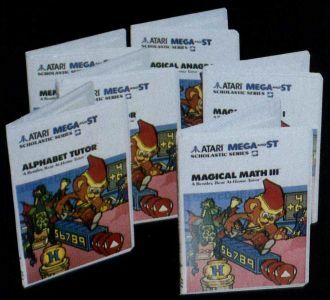 With Page-stream (formerly named Publishing Partner Professional) and Ultrascript, a PostScript clone, Atari users can have the equivalent of a $8,000 Macintosh system with laser printer. After three years of slow progress in the desktop publishing (DTP) field, the Atari ST now has available several excellent software packages for publishers and graphic artists. Deskset is a high-end DTP system developed by G.O. 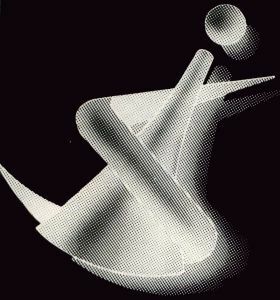 Graphics, a Massachusetts-based firm that has already developed a similar product for MS-DOS machines. Atari Corp. will market Deskset as its official DTP system at a retail price of $299. Deskset is not, however, designed for the average ST user. It requires a Mega ST4 and SLM804 laser printer. G.O. Graphics uses its own font and graphic operating system to display and print documents, and fonts from Compu-graphic—a huge typesetting equipment manufacturer—have been licensed for use with Deskset. PageStream is the "sequel" to the very successful Publishing Partner, which supported the use of PostScript printers for high-quality output. Unfortunately, when using Publishing Partner on a non-PostScript printer, a complex page of text and graphics could take up to ten minutes to print. PageStream was completely rewritten to overcome the slow printing speed. But the rewriting also introduced a number of new "bugs" into the program. At the show, Atari unveiled its new PostScript emulator, Ultrascript. A GEM program that reads a PostScript file, Ultrascript creates high-quality printed output on the SLM804 laser printer. The program requires two megabytes of memory to function, though, so it is usable by most ST owners. Atari has not announced a price or availability date for Ultrascript, but insiders expect the program to be out by this summer. A prerelease version of Calamus, a high-end DTP package for use with the Mega ST and a SLM804 laser printer, was shown at COMDEX. At $299.95, Calamus advertises a huge assortment of tools and functions. ISD Marketing, who brought the VIP Professional spreadsheet to the ST, expects Calamus to be the top-of-the-line DTP system for the ST when it is released later this year. If the finished product is as powerful as advertised, Calamus will surpass Adobe Pagemaker, the leading DTP program for the Mac. Considering Pagemaker's $695 list price, it is conceivable that the Mac might lose ground to the ST.
All of the DTP programs shown at COMDEX support pseu-do what-you-see-is-what-you-get (WYSIWYG) screen displays. Deskset features outstanding fonts, but was much slower updating the screen than the others. PageStream offers PostScript compatibility and style sheets, but early versions are bug-ridden. Calamus appears to be the most powerful DTP system for the ST, however, it is not yet available. Timeworks Publisher ST is inexpensive and good enough for most small-time publishers, however, it is a GDOS program and therefore difficult to install. The Atari Transputer Workstation (ATW) is Atari's latest piece of hardware. Final versions of the ATW—previously known as the ABAQ—were on display at the COMDEX computer trade show. The ATW comes in a freestanding white IBM PS/2-style cabinet. The 3.5-inch floppy-disk drive and power indicator make a deceivingly simple-looking front panel. The ATW is a very powerful computer. Greenwhich Marketing Corporation brings us Le SHIELD. Datafree Industries’ offers the 2/4 Mega-byte Memory Upgrade for use with the Atari 520 ST, 520 STfm and 1040 ST. Inside the ATW is a T800-20 transputer processor, four megabytes of memory, high-speed serial ports controlled by a 68000 processor and a video display system capable of showing 16 million colors at 1024 x 768 dots of resolution. The Atari Transputer Workstation is Atari's latest piece of hardware. Unlike the ST, the ATW computer uses more than one processor to handle programs and instructions. When ST instructions are performed, a single command is moved into the 68000 CPU and processed. The ATW supports up to 17 processors, each processor handles a different procedure at the same time. This called parallel processing, and it allows programs written for the ATW to run significantly faster than single processor computers. The ABAQ system may be expanded by adding expansion cards similar to IBM PC cards. Each expansion card holds four T800-20 processors and an additional megabyte of memory. The ATW system processes ten to 12 million instructions per second, which is ten times quicker than an IBM AT computer. Atari claims that the system may be expanded to eventually handle 100 million instructions per second by connecting multiple ATW systems together using very high-speed interfaces. The ATW computer uses Inmos T-800 processors, true 32-bit microprocessors that use reduced instruction set computer (RISC) technology to produce ten to 12 million instructions per second processing speed. RISC takes the approach that "less is more." The RISC instruction set contains only a few commands, as compared to the 68000 processor that contains a large number of commands to process a wide variety of special tasks. RISC provides assembly-language programmers with a small portion of the most commonly used instructions from other microprocessors. RISC-based applications run quicker than conventional microprocessors, because they rely on the RISC programmer to develop programs to handle complex operations using the small RISC instruction set. Atari sees the transputer as the leading edge of personal computer technology. Perihelion Software of the U.K. is developing the Helios operating system for the ATW computer. Atari's objective is to establish Helios as the standard transputer operating system. Helios has been described as a UNIX-like system that is being designed for the multiprocessor environment. Helios will be delivered running XWINDOWS, the UNIX visual interface system similar to GEM and the Macintosh OS. 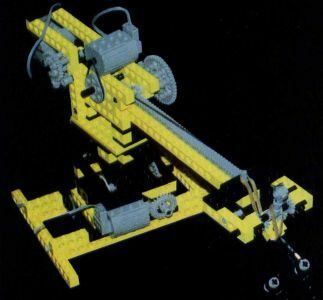 The ATW system is being promoted as a powerful numbers cruncher, but it lacks the high-speed channelized input/output systems that make minicomputers and mainframe systems quicker and more efficient than microcomputers. However, in the areas of computer aided design (CAD), animation, 3-D modeling, networking, robotics and artificial intelligence, the ATW is a viable and powerful computer. Atari President Sam Tramiel announced at COMDEX plans for an ST computer that uses the advanced 68030 central processor chip from Motorola. The announcement confirms a rumored Atari TT (32-bit) computer, although the final name has not be chosen. Tramiel anticipates having a supply of prerelease machines available for developers in the early months of 1989. To match the huge processing power of the 68080 brain, the new system will feature the UNIX operating system. Tramiel said the Atari UNIX computer will be TOS compatible and will operate under UNIX System 5. Industry analysts view the announced UNIX computer as another Atari attempt to mass-market high technology, while undercutting its competitor's prices. Atari has had poor results marketing the ST computer as a business system. Today's standards require a business computer to support a local area network (LAN), have a multiuser operating system and provide reliable hardware support. The ST computer fails in these areas. Atari will have to resolve these issues before the 68030 UNIX system is a success. "Part of my job is to create positive movement that will put our dealers behind the 68030 [computer]," said Mike Den-do. Atari is trying to change its dealer/distributor channel to be able to handle the new, more sophisticated products Atari has under development. Mark Williams showed its new source level debugger, CSD ($69.95 list), available for its C ST-development language. CSD operates like a C interpreter, allowing programs to be interrupted and variables or memory to be checked. In separate GEM windows, the source code, program evaluation and runtime history are displayed. MichTron is no longer marketing GFA BASIC. Only two months after the release of the eagerly anticipated new version, GFA Systemtechnik pulled the marketing rights, having decided to open a U.S. marketing office of its own. GFA USA is expected to arrive late this year to handle sales, marketing and technical support of GFA's extensive line of ST products. MichTron announced two new BASIC languages to replace GFA BASIC: Hisoft BASIC and Power BASIC, both of which are Microsoft BASIC compatible. The two new packages fill out MichTron's line of development languages for the ST.
Hisoft BASIC ($79.95 list) is a BASIC interpreter that gives programmers full access to the GEM system. Compiled output can also be generated, making this inexpensive BASIC language a high-quality, low-end development package. A symbolic debugger is included for program testing and debugging. Power BASIC ($159.95 list) is MichTron's new high-end BASIC compiler and comes with an editor, compiler and debugger. Atari Germany began shipping Omikron BASIC as the standard Atari ST BASIC language late last year. Since then 11 other European countries have followed the Omikron standard. Omikron BASIC is very close to MBASIC and GW BASIC for MS-DOS machines, and the development package comes with an interpreter, compiler and a large library of precompiled programs for use in specialized applications. The Omikron library has routines for GEM, MIDI, numerics, statistics, complex numbers and financial mathematics. The libraries make it easier for beginners to understand how to develop complex applications. Omikron attended COMDFLX, in part, to find an American distributor to handle U.S. and Canadian marketing of its products. If the U.S. version of Omikron BASIC is well-packaged and supported, it could give GFA BASIC a run for its money. Ultrascript brings PestScript lo the ST with some dazzling effects. Air Warrior from General Electric Co., USA is an interactive flight-simulator game only en GEnie. Intersect Software is committed to the development and production of high-quality software products for Atari computers. 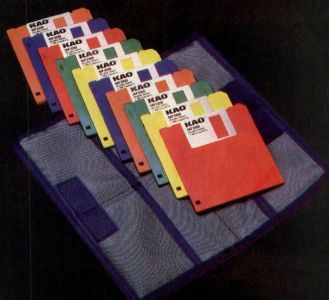 The Diskarro Travel Pack from Kao Infosystems Company (KIC) is a handy way to transport diskettes. COBOL/MST ($199.95 list) is a new COBOL compiler for the ST marketed by Castech. "More than 80% of all new business applications in the mainframe and minicomputer world are written in COBOL" said Cheney Bath, COBOL/MST's programmer. Bath sees COBOL/MSTs market as students learning COBOL at the university level, Atari ST developers working on business products and mainframe computer programmers who would like to use their ST system at home to program in COBOL. Since the language is fully compatible with the American National Standards Institute (ANSI) 74 COBOL standard, its code is compatible with COBOL compilers on other machines. A special feature called STRICT even flags Atari-specific COBOL code to ensure compatibility with other machines and compilers. David Small and Bill Teal were on hand, demonstrating the latest versions of their emulation systems for the ST. Small's new system is Spectre 128, a Macintosh Plus emulator. Teal talked about pc-ditto, an MS-DOS emulator. Atari has found that PC and Mac software libraries support is important to a business community trying to convince itself that Atari can make a non-game computer. Richard Plom of Intersect Software (and the author of Revolver) brought Small and Teal together to discuss operating Spectre 128 and pc-ditto as one package. "It would be like owning three computers in one," Plom said enthusiastically. ST owners could use the PC version of WordPerfect 5 for word processing, then switch the Macintosh version of Excel for spreadsheet operations, and then use PageStream for desktop publishing. "Leonard Tramiel hates the idea," Plom said, "meaning it is probably a good one." Tozd Kooperacija showed an interface box that permits a Mega ST to emulate an IBM 3270 terminal. Sounds like fun, doesn't it? When you consider the $30,000 price IBM charges its customers for a 3270 terminal, the $6,500 price of a Mega ST and the Tozd interface box becomes very appealing. The Tozd 3270 emulator box allows up to eight computers to emulate IBM terminals. Engineering shops looking for a low-cost alternative to the Digital Equipment or IBM solution are finding the Mega ST to be a powerful workstation. Atari seems to have ridden out the wave of anti-Atari feelings that plagued the Atari industry last year. After a series of announced-but-never-released products, Atari employees became gun-shy when talking about future products. But has Atari really mended its ways? A case in point is the rumored Atari ST Laptop computer. When asked about seeing the ST Laptop, Mel Stevens, Atari's trade show coordinator, said, "What laptop?" The same message came from Sig Hartmann, director of corporate communications. But, when the dust settled, ST-Log was given a rare glimpse at a prototype ST Laptop computer. "One of our major markets is MIDI," said Michael Dendo. The portable's built-in MIDI ports and an existing library of music composition and editing software are expected to create an instant market for the new ST laptop. 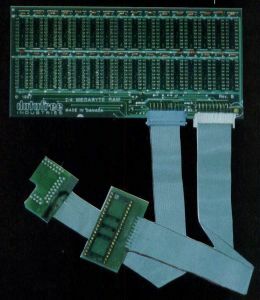 A hardware prototype of the ST computer was shown to ST-Log in Atari Corp.'s suite. 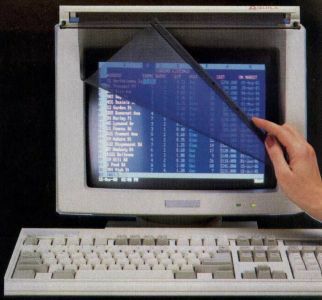 Using an Epson LCD display, the ST Laptop computer is the portable equivalent of a 1040 ST monochrome system. All existing software that works with the 1040 should run on the ST Laptop. Although Atari was not ready to give details on the Laptop's operation or hardware specifications, Sam Tramiel. Atari president, gave sonic information about the internal design. A rechargable battery pack powers the 12-pound unit for up to five hours. The Laptop uses battery packs that can be recharged while still inside the unit. Creating the Laptop LCD display was Atari's biggest engineering challenge. A special LSI chip, nicknamed Shadow, has been designed to drive an Epson LCD display panel. At first glance, the display updates fast enough for quick movements of the mouse to be visible. However, LCD technology is only so fast; so you might not be able to see the outline animation when a window is opened or closed. Several other displays are being tested. For mouse functions, the laptop uses a small trackball placed in the lower right corner next to the keyboard, with the mouse buttons placed above the trackball. 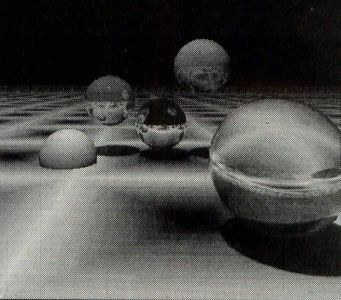 Although a functional model of the trackball was not available, one has to wonder how easy users will find the trackball for typical click-and-drag functions. And what about left-handed users? The preliminary price of the ST laptop is less than $1,200. John Russell demonstrated the new JRI Genlock System for the ST. Genlock mattes the ST's video graphics over an external video source. Usually used for creating video titles, the JRI Genlock System opens the ST up to several new markets. Local cable-television stations, student television-production facilities and consumers bent on high technology will find the $500 system an inexpensive alternative to the $10,000 commercial video-graphics system. Many exhibitors at the COMDEX Atari booth were from Europe, England and South America. This marks a distinct change in the makeup of Atari third-party software vendors since the spring COMDEX in Atlanta. Visitors to the Atari booth found most of the new products and technology breakthroughs developed by the international exhibitors. The French are coming on strong in the areas of graphic-related programs and optical character recognition (OCR) systems. The English appear to be focusing on technology and entertainment, while the Germans are importing business products. Human Technologies is a French company that exhibited two new graphic arts programs for the ST. ZZ Lazy Paint could be easily mistaken for Silicon Beach, a very popular painting program for the Macintosh. Users of MacPaint will also find ZZ. Lazy Paint to be very familiar. 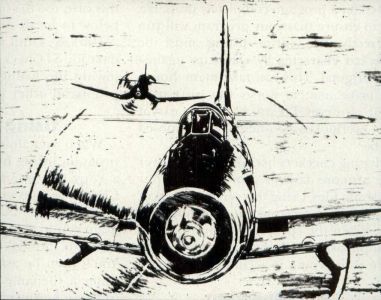 A unique feature of ZZ Lazy Paint allows the definition of resolution and picture size according to the printer being used. If an Epson MX-80 is being used, the drawing resolution may be set to 150 dots per inch. Publishing Ink. 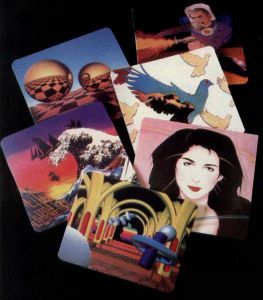 's GraphicPad features an original lithographed, full-color, computer-generated graphic on its high-quality mouse pad. Optical Character Recognition (OCR) system from Navarone Industries permits a scanned image to be translated into a graphics file. Backup your hard disk with a standard cassette tape. The drawing size may then be defined in terms of dots, millimeters or inches. Lazy Paint's only disadvantage for American and Canadian users is its limitation to monochrome monitors. On the other hand, Human Technologies' other program, ZZ Rough, works only in low resolution. ZZ Rough is a free-hand drawing program. A spline drawing object lets the user place several points within a drawing, then the program draws a smooth line between all of the points. Another drawing object plots three-dimensional arrowed lines between several points. Up to eight full-sized pictures can be "roughed" at once, with optional commands to load and save parts of a picture to a disk file. Although the software has been released in France, Lazy Paint and ZZ Rough are not available in the United States or Canada. Human Technologies has translated the manual and program in English, and is currently searching for a marketing company to handle the products domestically. Upgrade Editions, a French ST software developer, displayed Reading Partner, a new OCR system for the ST. OCR technology permits a scanned image to be translated into a text disk file. OCR is very important when large volumes of printed text must be loaded into a computer system. OCR is not an easy system to develop. With every new printed document, the system must "learn" a new style of type. Reading Partner analyses a scanned page by matching the graphics it views from the scanner with a library of type styles. When a group of characters is illegible, the program displays the image and allows the user to enter the correct letter. Once learned, additional occurrences of a new type style are converted into ASCII text without user intervention. Not to be outdone, a Yugoslavian company, Tozd Kooper-acija, displayed its own OCR system for the ST. Marjan Jesih, director of Tozd, showed the OCR program using images scanned with a high-resolution Hawk scanner. The program reads DEGAS-and IFF-format picture files as input. The Tozd system is similar to Reading Partner in use; when unknown characters are located, the user is asked to type in the correct character. "We will have an OCR system available [in 1989]," said Vincent Martel, sales manager for Navarone Industries. 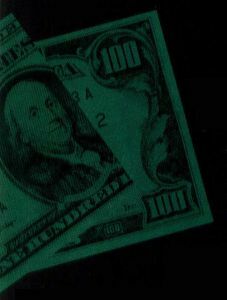 Navarone produces a scanner package, ST Scan, for the ST. Martel expects the OCR package to have an estimated $425 list price. 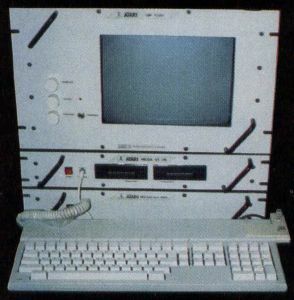 The German emphasis on precision engineering was shown in the newly designed 190 ST (approximately $1,500 list) computer. IBP is a German engineering firm that uses the ST chip set in a rack-mounted version of the ST computer. IBP developed the 190 ST as an industrial computer processor system for use in manufacturing and machine-controlled applications. The 190 ST is essentially a Mega ST, minus the keyboard and video display. Packaged in a 19-inch industrial box, the 190 ST is equipped with several standard bus interfaces (Eurobus-E, ECB and VME) for communication with equipment and other computers. Special chip sockets program the 190 ST for dedicated operations. German ingenuity has even developed slots for mathematical and graphic coprocessor chips to be installed into the 190 ST. The 190 ST includes GEM and TOS and runs all existing Mega ST-compatible software. As time goes by, storage mediums keep shrinking. In the 1970s, the floppy disk held little more than 100,000 bytes of information on a large eight-inch floppy diskette. In 1978, the 5.25-inch floppy diskette offered 200,000 bytes of storage on a single-sided disk drive. Later, with the availability of the double-sided drive, the 5.25-inch floppy storage improved to 400,000. The 1980s have seen the rise to the 3.5-inch floppy diskette, which holds 760,000 bytes of data. At COMDEX the next step in storage technology was announced. Verbatim demonstrated the TMO 3.5-inch Erasable Optical Disk, a medium that can hold 60,000,000 bytes of information on one 3.5-inch diskette. The disk is inserted into a special disk drive that uses a combination of lasers and magnets to create erasable optical disk storage technology. The disk spins at 2400 RPM and provides performance similar to current hard-disk systems. Verbatim's drive will feature a high-speed SCSI-compatible interface, making it compatible with several existing ST computer interface cards. Verbatim expects a summer 1989 release date of the finished system, pricing was not known. TMO System 35/60, Verbatim Corporation's initial, 3.5-inch, TMO erasable, optical disk product, is a subsystem with the drive, power supply and SCSI controller card packaged in a box that fits neatly under most monitors. The months leading up to the COMDEX show were precarious for the Atari ST computer. With losses to Amiga and other personal-computer systems, Atari must create a new marketing strategy to keep the ST computer alive. COMDEX showed that Atari is committed to the ST and will continue to support the product line with new hardware software. It might not look like a Mega ST, but Hybrid Arts' rack-mounted ST is finding its way into music labs.